Dying Light 2’s demos so far have focused on its larger factions – namely the Peacekeepers and Scavengers. But its world is coloured by numerous smaller groups who can shape its world in surprising ways. The Untainted are a radical faction that believes the way to salvation is by getting out of your head. In one example given at Gamescom, the Peacekeepers and Scavengers are fighting over an ideal spot for an outpost – the former so that they can create a trading post, the latter so that they can produce plants for biofuel. But the player has a third option – to support the Untainted in taking over the area to grow plants that can in turn be used to create drugs. Wildcard factions will less widespread than their larger equivalents, usually tied to specific regions and locations. 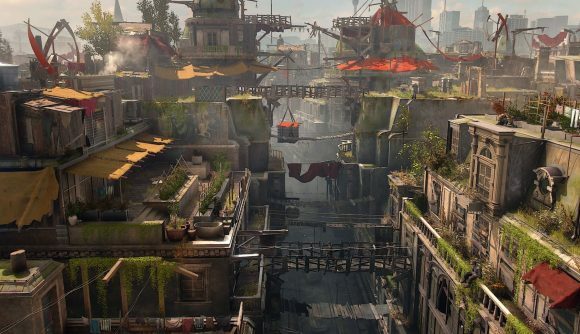 But they’ll provide another way to ensure your playthrough is different once Dying Light 2 launches in 2019.